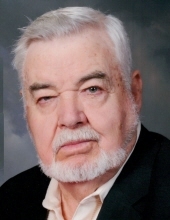 Charles Edward Clark, age 79, of Taft, TN passed away on Wednesday, January 30, 2019 at Alive Hospice in Murfreesboro. He was born in Franklin County, TN on July 16, 1939 to the late Grover and Beulah Knight Clark. He was a veteran of the U.S. Army, was a retired supervisor at Amana and was of the Baptist faith. In addition to his parents, he is preceded in death by his brothers, Kenny Clark and Harold Clark. Mr. Clark is survived by his wife: Judy Sherwood Clark of Taft, TN; daughters: Gina (Scotty) Travis of Taft, TN and Vickie (Chris) Gentle of Huntsville, AL; sister: Louise Hodges of Crown Point, IN; brother: Wayne (Gail) Clark of Huntland, TN; five grandchildren: Coty (Krysten) Travis, Cole (Kaleah) Travis, Casi (Adam) Brislin, Ashley (Drew) Nobles and Jacob (Niche) Eng; and eleven great grandchildren: Natalie Travis, Lila Travis, Olivia Travis, Maddie Travis, Honor Travis, Bray Brislin, Addison Brislin, Decklin Brislin, Joseph Nobles, Zoe Eng and Mia Eng. Funeral services will be conducted on Saturday, February 2, 2019 at 2:00 p.m. in the chapel of Gallant-Riverview Funeral Home with Rev. Derrick Moose and Rev. Scotty Travis officiating. Burial will follow in Lincoln Cemetery. Visitation is Friday from 4:00 p.m. until 8:00 p.m.
"Email Address" would like to share the life celebration of Charles Edward Clark. Click on the "link" to go to share a favorite memory or leave a condolence message for the family.